From 1861—1865, America fought for its existence. 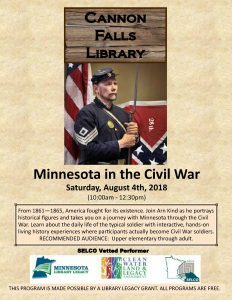 Join Arn Kind as he portrays historical figures and takes you on a journey with Minnesota through the Civil War. 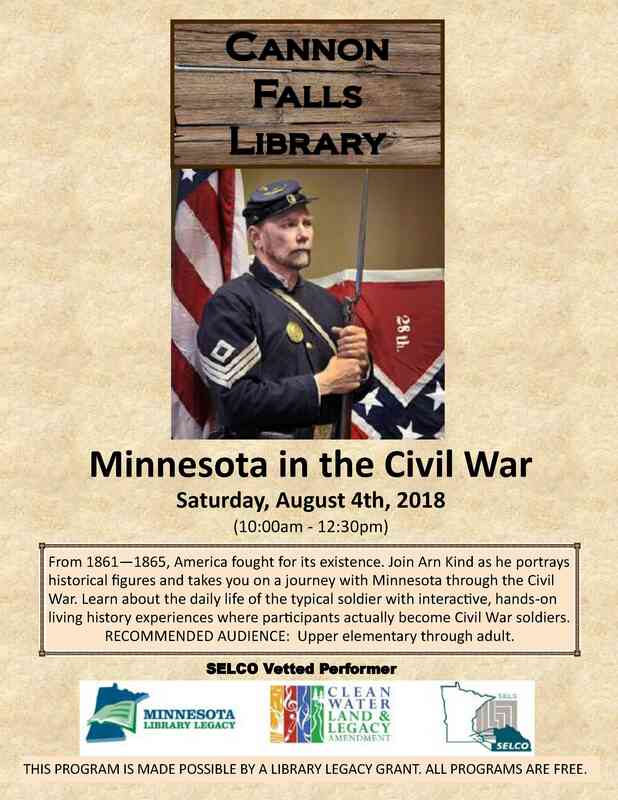 Learn about the daily life of the typical soldier with interactive, hands-on living history experiences where participants actually become Civil War soldiers. RECOMMENDED AUDIENCE: Upper elementary through adult. Posted in Community, News, Programs.